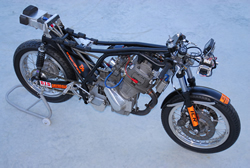 Work began on this bike after the 2008 Island Classic but found itself on ice for a while due to various circumstances. 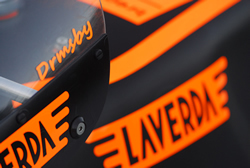 Work recommenced in May of 2011 and it first saw the race track for testing in late January 2012. Initially being 'just' a new frame for the 915 SFC Replica, it took on a life of its own and soon became basically a new bike build-up, albeit using various carry-over parts from the Replica. 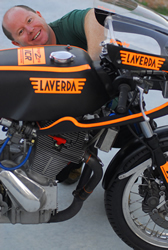 The Replica will eventually be restored as the budget of time and money allows for the remaining Replica parts to be replaced / redesigned / remanufactured for the SLC. 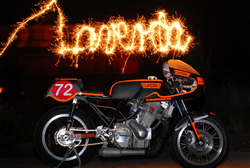 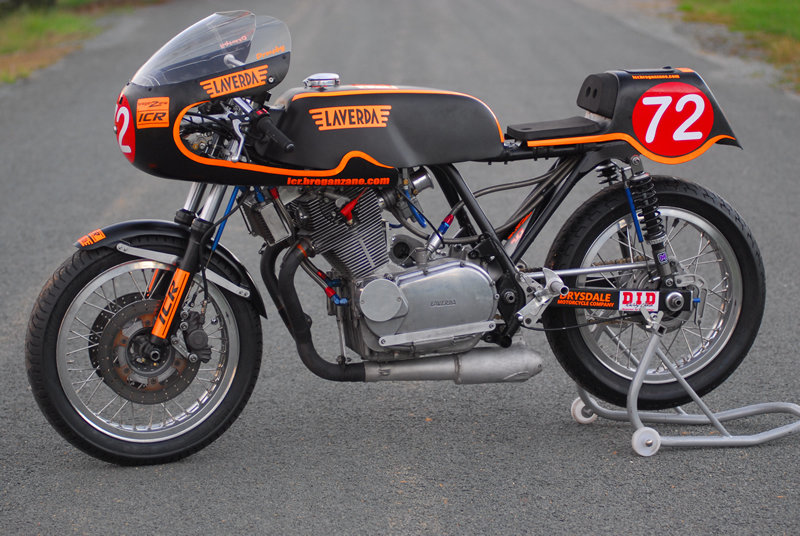 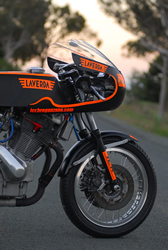 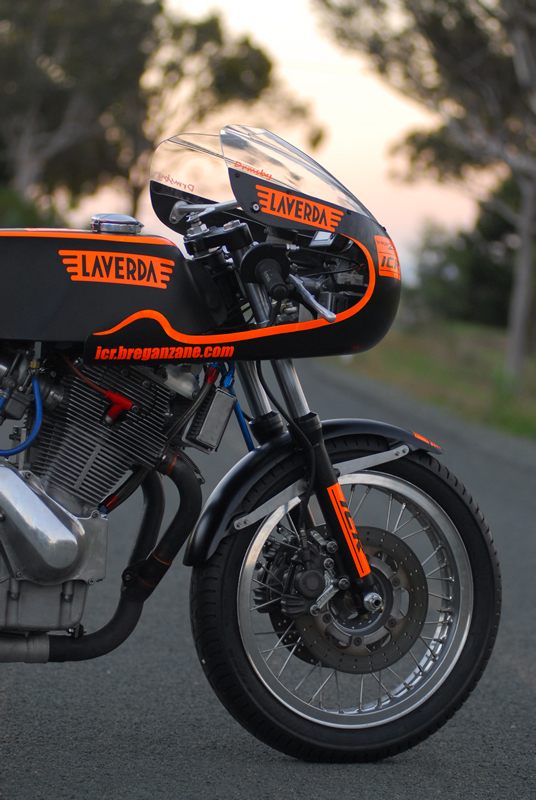 Here's a few photos to whet your appetite - not your average orange bloody Laverda! Catch us at the Barry Sheene... if you can!